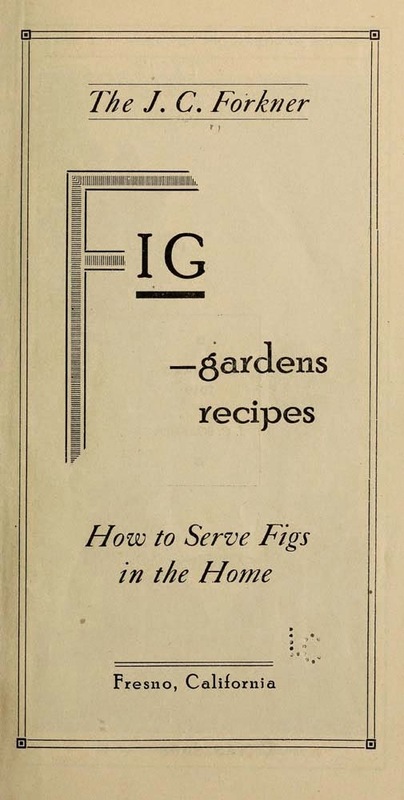 Select ripe figs, remove all stems, treat them with a scalding soda solution, and rinse thoroughly in clear, cold water. Cook in quantities not larger than 3 pounds at one time. Allow 1 1/2 pounds of sugar to each 3 pounds of figs. Add barely enough water to start the cooking (about 1/2 cupful), crush the figs, heat to boiling and add the sugar. Cook rapidly to 220 degrees. To seal properly and to insure safety from mold, it is necessary to process all preserves after packing them into sterilized jars. This processing may be done in a water-bath by heat (below) or at boiling temperature. Since preserves contain so much of sugar which acts as a preservative, it is only necessary to process against molds. This may be accomplished by placing the filled jars in a water-bath, heating it to a temperature of 180 to 190 degrees, and holding that temperature for about 30 minutes. Process preserves or jams in 12-ounce or pint jars for 20 minutes at 180 degrees. When jars with glass tops and screw tops or wire clamps are used, leave the pressure of the clamp on the top of cap until the jars are entirely cold.